Having recently graduated from University, I find myself at a point in my life where I feel somewhat lost. I need to find a job. I need to move out my parents’ house. Essentially, I need to figure out my life. Frances Ha, directed by Noah Baumbach, deals with similar questions and I am finding it very easy to relate to. The story follows the life of Frances (Greta Gerwig) – a 27-year-old woman living in New York. She doesn’t have much luck romantically, she doesn’t have much luck financially. In fact, she doesn’t have much luck in general. This streak of bad luck worsens when her best friend, Sophie, who Frances constantly jokes about being married to enters into a relationship meaning they have little time to spend together anymore. With Sophie gone from her life, Frances then tries to find a stable job and get her life back on track. This proves easier said than done. mother! – A Circus of Chaos, or Auteurism at Its Finest? Starting a review with a quote from Buddha seems pretentious, but I’m going to do it anyway – “Chaos is inherent in all compounded things. 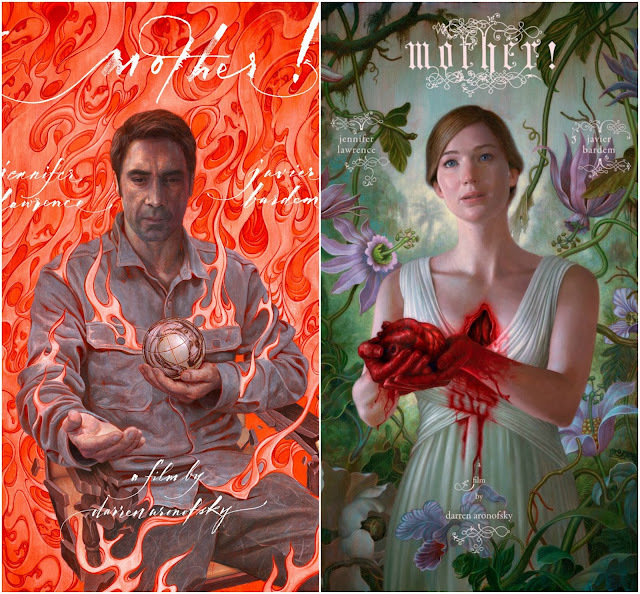 Strive on with diligence.” This is certainly true of Darren Aronofsky’s latest film mother!, and whilst it may be a challenging watch, striving on with diligence is apt advice. With music being my second greatest love to film, Damien Chazelle’s Whiplash struck all the right chords with me (if you’ll excuse the pun). Especially as I also play the drums myself. The story follows a young percussionist named Andrew Neiman who attends the Schaffer Conservatory in the hopes that one day he’ll become one of the great jazz musicians of his generation. In his attempt to achieve this dream he encounters Terrance Fletcher, a terrifying but very much revered music instructor. Terrance sees talent in Andrew and pushes him to the absolute breaking point in the hope that he will reach his full potential. This leads Andrew to question whether he has what it takes both mentally and physically to become one of ‘the greats’ such as Buddy Rich. 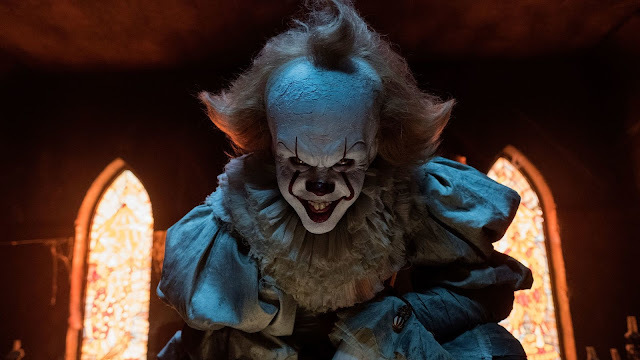 IT Review - Is IT worth seeing? I went into Andres Muschietti’s adaptation of IT with high hopes of success, but an expectation of disappointment. It seems far too common these days with horror films that their trailers give the promise of a suspense filled film that doesn’t rely solely on jump scares, but then that is exactly what they turn out to be, leaving the only true horror being the price you paid for a ticket to see such rubbish. Fortunately, IT was not one of these, and was very enjoyable. Hello! First impressions are everything, right? So I guess this is the part where I’m supposed to give you some witty and enticing reason as to why you should continue to read any further… Truth is, I have none other than I love going to the cinema, and I intend to give you honest reviews of the films I see which, hopefully, you’ll enjoy reading. I’ve always loved film from a young age, and if you have a spare five minutes, I’m sure reading my reviews are a better way to waste them than browsing Facebook for the umpteenth time today. Unfortunately, I’ve decided to start writing reviews at a bad time. Summer is over, a lot of the big releases have come out, and now it’s a waiting game until the cinematic world picks up steam once again and I have more juicy content to provide you with.